Everyone who wears eyeglasses has different needs. At Advanced Vision Wellness Center, we feature a variety of accessories for your glasses or contacts. Choose a cool hard case for your glasses. We have leather cases for a sleek professional look, or cartoon cases for children. Pick up a contact lens case for disinfecting and storage. We carry cleaning solutions for contacts and eyeglass lenses, cleaning cloths, and lens care kits. We also offer a sunglass package deal to young sunglass wearers, including a cleaning cloth, hard case, and sunglass cords. 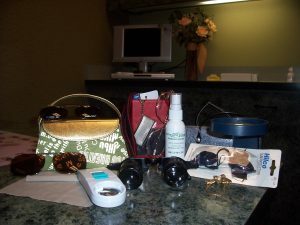 Whatever your eyewear accessory needs, Advanced Vision Wellness Center can help! And visit our gift center for those very thoughtful gifts both practical and not so practical. Gift certificates for quality vision care are always appreciated and can provide understanding and peace of mind to those whose vision care and concerns may be underserved.